This past year has been a troubling one for OpenSim, with slowing growth rates and increasing concerns that OpenSim will be sidelined by advances in virtual reality platforms. 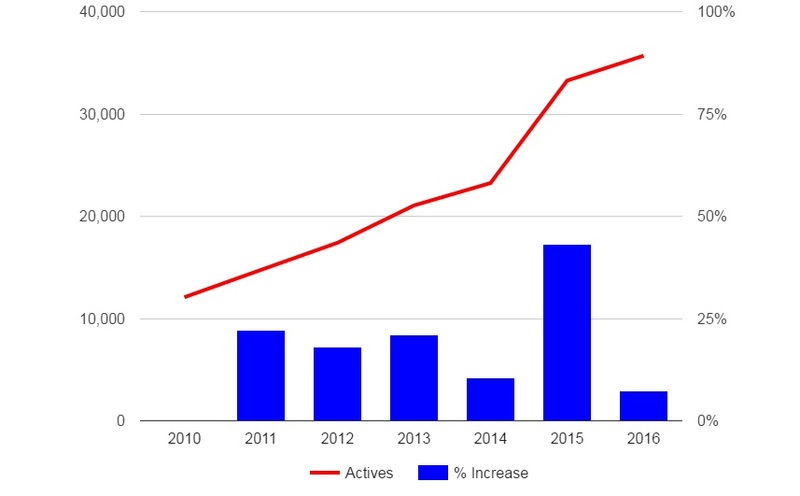 Active users numbers went up, but at a slower rate than in any of the previous years, and a steep decline from the record-high growth rates that we saw last year. 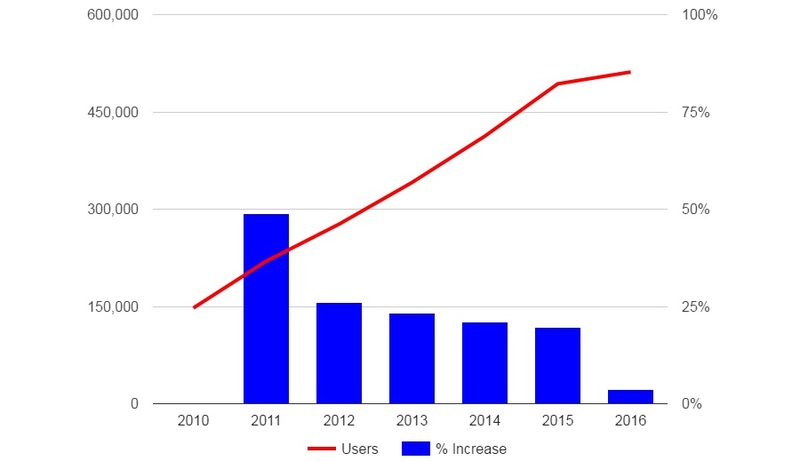 Registered users were up only slightly, with a lower growth rate than in any of the previous years. And total land area on OpenSim’s public grids actually decreased this year. 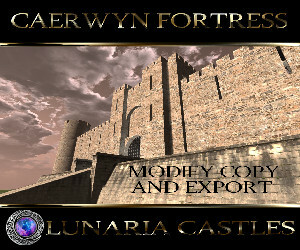 Some grids did better than others, however. 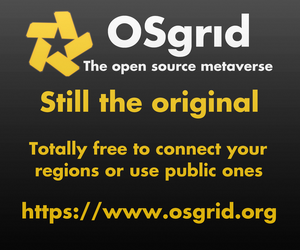 The top ten fastest-growing grids were AllCity, Sinful Grid, DigiWorldz, Metropolis, Genesis MetaVerse, Kitely, Lost Paradise, DreamNation, OSgrid and Exo-Life. AllCity was the biggest gainer, with a net increase of 1,077 active users since this time last year. AllCity also ranked the highest in this year’s grid survey. InWorldz had the biggest drop in active users. It went from 6489 this time last year to 5947 this month, a fall of 542 active users. 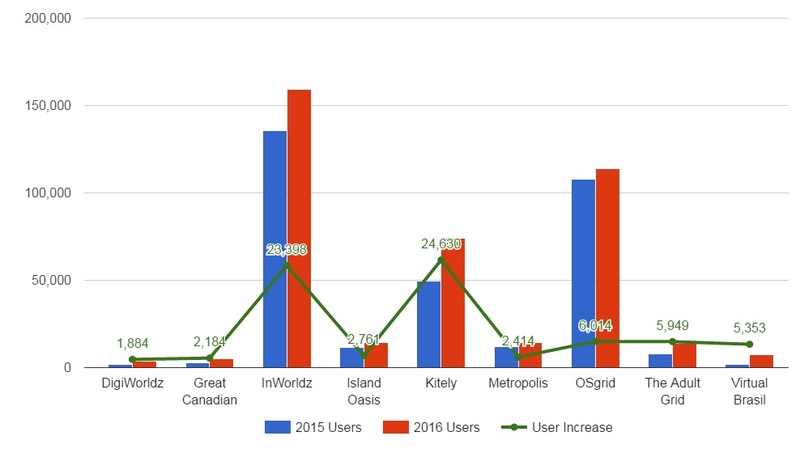 Logicamp lost 439 after a serious server failure this fall, and Great Canadian Grid lost 410 active users after it capped its growth. Kitely brought in the highest number of new registered users, at 24,630, with InWorldz a closest second at 23,398.